We sell welding wires, welding machines and related welding equipment and consumables. Talk to us before you buy your welding machinery, welding wire, software and equipment. 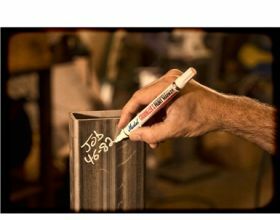 Welding Engineers NZ Ltd is the largest New Zealand stockist of welding wire. We represent premium manufacturers from around the world, including Nippon Steel & Sumikin Welding, Kobelco Welding, leaders in the production of flux cored wire and metal cored wires in Japan. Check out the Brands and Welding Wire pages for more info. Digitalization will transform the welding industry in the coming years. Synergic machines were just the beginning, the changes in workshop floor operation and control, quality control, regulatory requirements, automation we have seen in Europe and Japan will impact on New Zealand businesses. We believe staying up with the constant advances and being able to choose the right changes to make is crucial for our customers' competitiveness. Our focus is on the forefront of technology, but also quality of manufacture and long-life reliability of machines and accessories. After attending the International Welding Trade Fair at Schweissen, Germany, in 2017, Welding Engineers NZ Ltd added LORCH smart welding systems to our range in our continuing quest for the best. We won't try to sell you gear you don't need, but we will work alongside you to solve any welding problems and ensure your work is done in the most efficient, effective and affordable way possible. We aim to be your welding solutions partner and preferred supplier for many years to come.